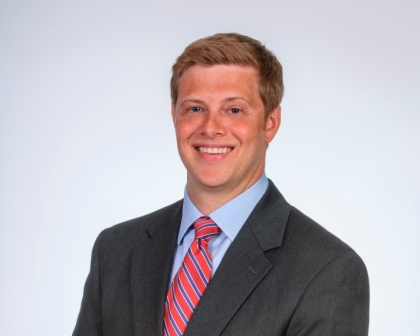 Blake Adams is a commercial insurance executive at Taylor Agency and has been with Taylor Agency since 2005. He is an alumnus of the University of Georgia with a degree in Risk Management & Insurance. Although he performs his services for many industries, his areas of expertise and focus are Construction & Service Contractors, Distributors, and Real Estate Portfolios. Blake is an Executive in the Palmetto Society and is Membership Chairman of the Association of Builders & Contractors. He finds it most rewarding to be given the trust to manage a client’s risk management program where he can demonstrate his effort and resource capabilities to reduce a their Total Cost of Risk and its impact on their balance sheet. Blake enjoys his family, playing tennis, kite surfing, fishing, and traveling. Naturally, he’s a huge Georgia Bulldogs fan. Contact Blake directly at 843-406-1186 or badams@tayloragency.com.